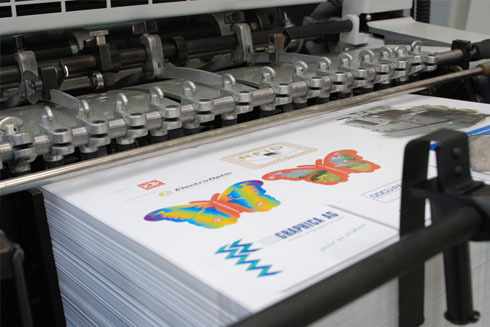 Sheetfed Offset printing offers our customers a cost-effective manner to produce large runs of high quality color pieces. Our skilled operators produce high definition print that is ideal for anyone who relies on accurate color and quality to convey their brand to the world. Some of today’s most recognizable brands trust our staff to deliver high quality and consistent color for all their printed materials.